After the Wedding, Stay Engaged. Tami and I were married on April 20, 1985. 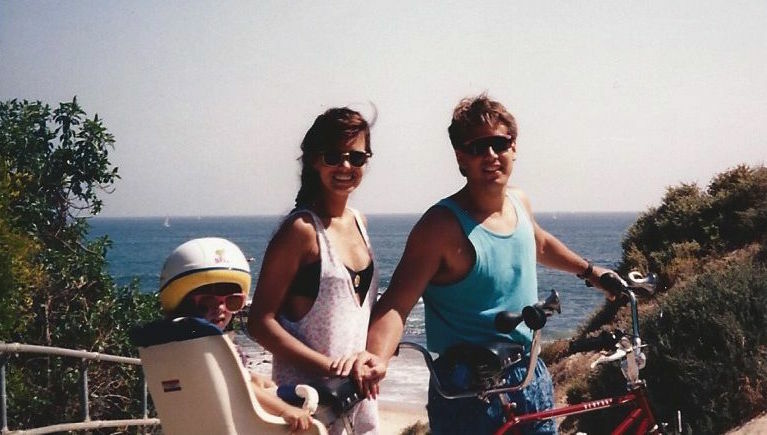 A few years into our marriage, I (Brad) bought a tandem bike. It was a surprise gift for Tami and I knew it was going to be a lot of fun! One of the hallmarks of our marriage has always been that we love to laugh together and laughter just seems to smooth out so many rough edges in life. This new bike would certainly raise that bar to a new level. I remember being so excited to give it to her! And guess what, she absolutely loved it. 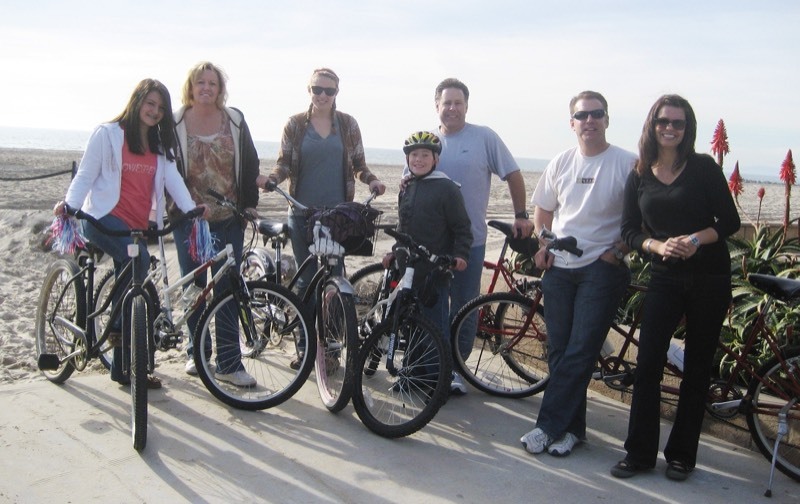 Over the years, and with the help of our Chevy Suburban, our tandem bike has traveled with us to many great places all over California. We have ridden our bike in Yosemite, Santa Monica, Newport Beach, Santa Barbara, Coronado Island, and many of the cities in between. And even though we have been to so many different places, there is one constant with a tandem bike—you get lots of looks while riding it. When you see someone riding a tandem, it just looks like so much fun. And the people riding the bike seem to be in sync on a whole new level; peddling together, leaning together as they weave in and out of obstacles, and embracing each new riding adventure with gusto. And don’t forget about the laughter that happens on a tandem. So people tend to stare. And those characteristics of riding a tandem bike (peddling together, leaning together, embracing adventure) could describe our marriage as well, but it wasn’t always this easy for us. We had to learn how to be in sync, just like riding a tandem bike. You see, Tami and I both come from divorced families. The fallout from this is that we did not have any “baked-in” roll models for marriage, and therefore there weren’t very many people around us who were great marriage role models. When we got married we thought that our love was enough to work out all of the kinks, right? Well, it was not that simple. Our love gave us the determination we needed to dig deep and stay committed even when we didn’t feel like it, but it was a lot of work. It still is. Is it worth it? Of course it is and we wouldn’t have it any other way. But I digress, back to the tandem bike. We learned a lot about being in sync and the need for effective communication while riding the bike. These skills translate well into daily married life as well. Over the years, we have worked with lots and lots of husbands and wives separately and couples together and we have enlightened them all to the need for these skills. 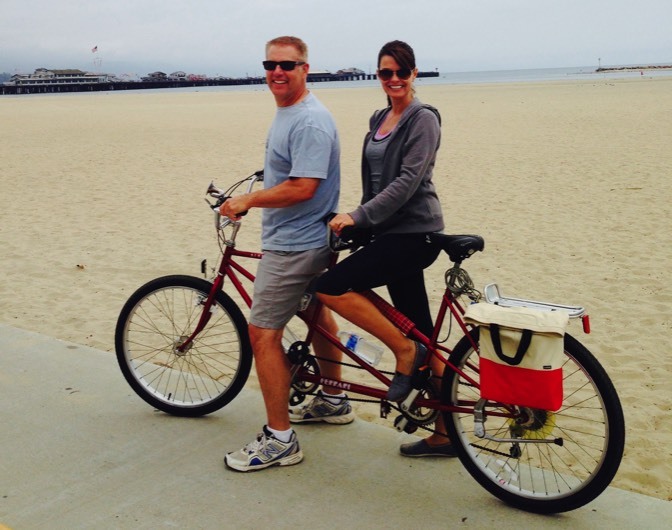 In fact, Tami has seen so much of this in her work as a licensed marriage counselor that we made the decision to build another tandem bike which is the one you see here at the top of this page. This would be our way to take our message to others. 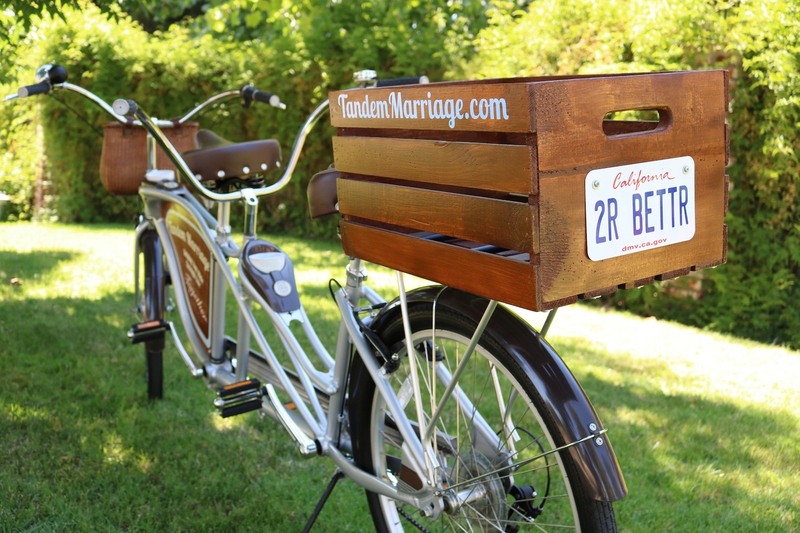 Now when we ride our bike, people ask us about our Tandem Marriage message. We share with them that a healthy husband and wife relationship is the best thing we can offer our kids. This makes that husband and wife relationship so very important! 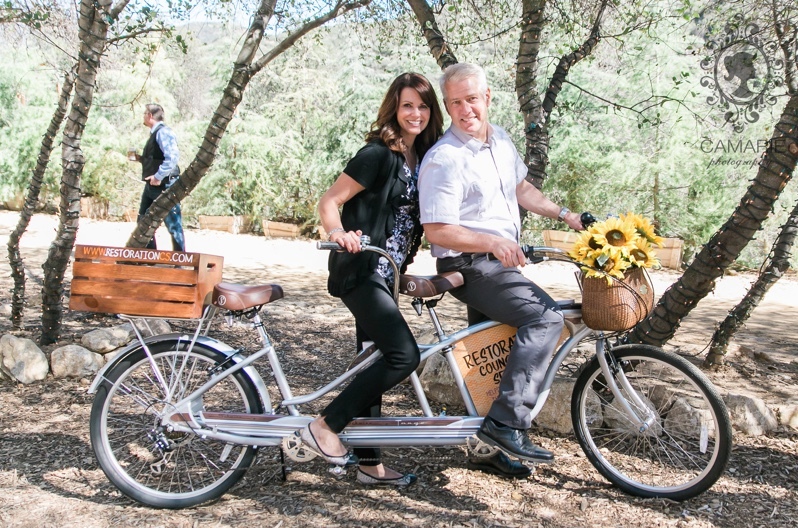 This new bike would allow couples to experience the need for good communication in a whole new way as well as the need to be in sync. We came up with the phrase, “Tandem Marriage, helping you ride through life together” because that is what we work hard to do every single day with the couples that we have been so privileged to work with. We affectionately refer to our tandem bike as Tango, the tandem, partly because marriage is somewhat of a dance, right? Also, we love the retro styling of our new tandem bike. We love the way that the horn and the dinger bell force you to smile when you honk or ring them. We love the way the wood crate on the back suggests that you should do more than get from Point A to Point B on the bike, rather you should take something with you or bring something back the compels you to linger, and to talk, and to connect. We even allow local couples to take our bike for a ride, for the afternoon, for dinner, for whatever. We love it and so do they! If you borrow the Tandem Marriage bike, please post a picture of the bike around town. Use #TMbike (Tandem Marriage bike) to tag it so we can find your picture and see where you’ve been. We think you will be seeing a lot of Tango, the Tandem Marriage bike, around town because nobody works harder for marriages than we do! 😉 And maybe, just maybe, we will be taking Tango on the road with us and visiting a town near you. Wouldn’t that be fun! P.S. If you want to pause the slide show below, just hover your mouse over the picture. ENJOY!